The “Hayrack Mag” is the official Rodbaston Equestrian Center newsletter and is put together by an enthusiastic team of Equine team Rodbaston. Each issue is packed with updates about the center, event round up and lots of other topical pieces. 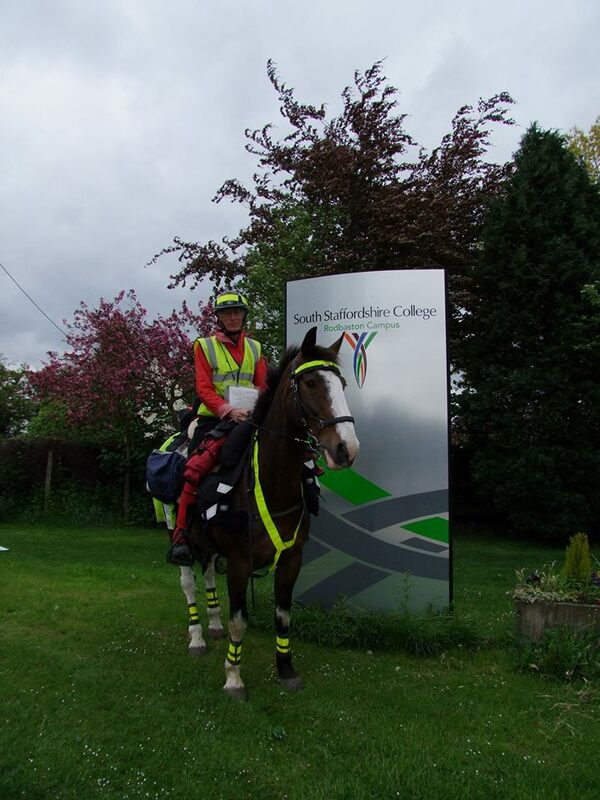 If you have news or pictures of events you have attended at Rodbaston send to one of the equine team and we may be able to include it in the next issue of the newsletter. After a wet but mild winter we are at last in spring. 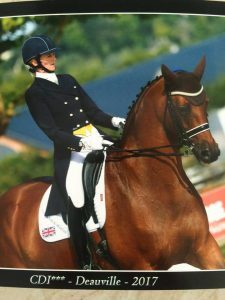 The winter season saw an increase in the number of dressage entries with both BD and the unaffiliated competitions all being well supported. We even had a cat compete at the Christmas show ! 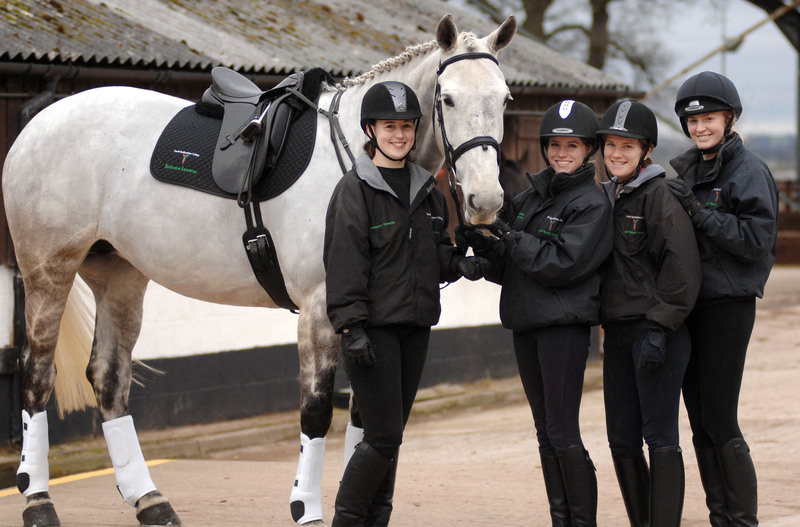 this just goes to show we will help and support anyone who wants to give dressage a try ! This autumn has brought some exciting changes. 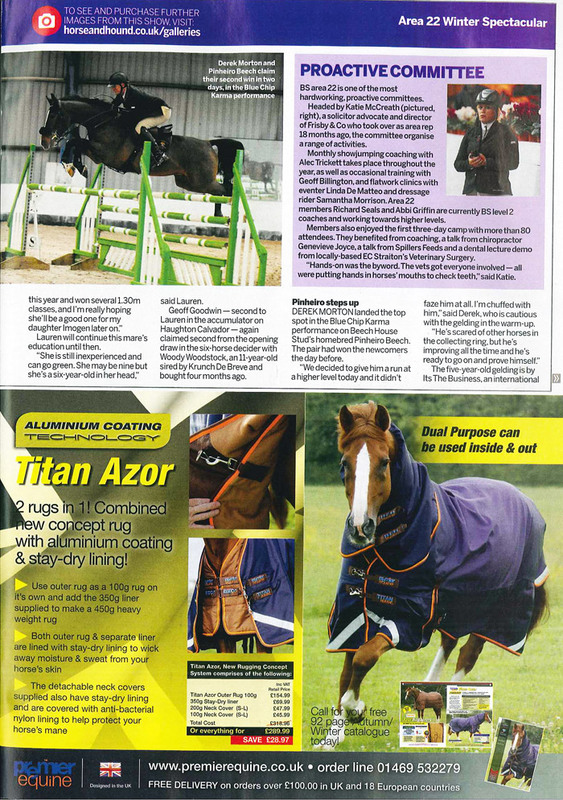 We have just had the new Martin Collins surface on the indoor arena and the new show jumps are on there way. The events calendar is full of exciting competitions and clinics. The Summer Dressage Gala was an amazing success and one we hope to repeat next summer. The winter dressage and show jumping will continue to work on a points system with champions and reserve champions receiving trophies sashes and special rosettes for all there efforts. We have had a series of clinics with Danielle Steed, Alec Trickett, Victoria Nicoles and Hannah Jackson with many more planned for the new year. keep an eye on the events and clinics pages for more details and let us know who you would like us to arrange clinics and demos with. The BHS training has been very popular with courses being full and many booking onto the exams which we now hold here at Rodbaston again. Last weekend we held the Mike Tallent Team Show jumping, the first event on the new surface. It was a great success with the winner receiving rosettes and rugs and all competitors a free hoof pick. Pictures from the day as with all our events can be found on the Mike Tallent web site. We hope this winter is not as wet as last years and we don’t lose any events. Keep checking the web site for updates and schedules and also if your not already then find us on face book where we also add regular updates and information on what we are doing. Welcome to the first ‘Hayrack Mag’. 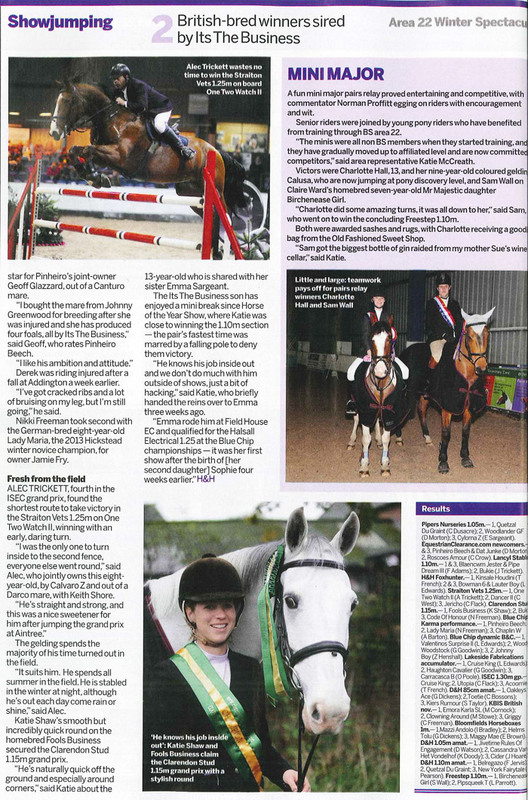 this is where you will find out all the exciting news and updates on whats happening at the equestrian centre. We hope you like the new website and it has all the information you need to plan your competitions and training. Please let us have your thoughts and if you feel we can improve it in any way. You asked for more qualifiers for the unaffiliated dressage so this winter we have included Cricklands and UK Riders qualifiers as well as increasing the variety of classes available. All the information on how to qualify for each section is on the ‘qualifiers’ drop down page. The PYO (Pick Your Own) classes enable you to pick your own test at each level, as long as the test is in a 20 x 40 m arena the choice is yours. The veteran classes are for horses over the age of 17 years. again these are PYO tests but at any level, so should be an interesting class. We have included a music class to some of the weekend dates, if you have never ridden to music before why not give it ago, many horses love to work and really pick up on the rhythms of the music. If your not sure where to start get in touch and we can help you with working out which music will suit your horses natural rhythms, choreography and floor plans. 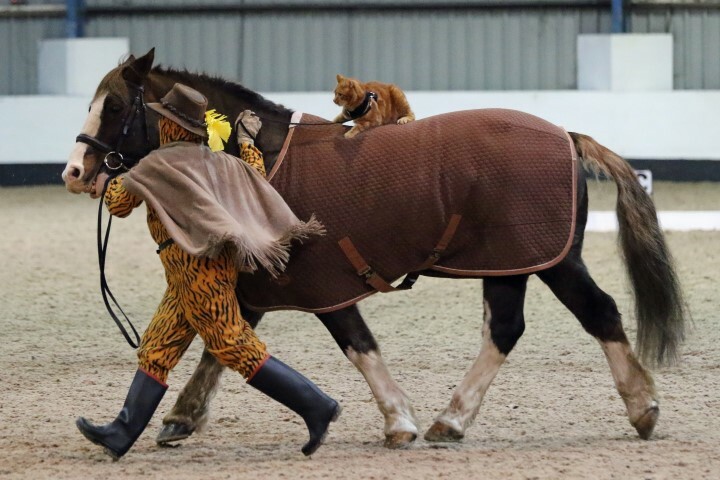 The Christmas Dressage show on Monday 23rd December will be a fun day with free mince pies and mulled wine, fancy dress and a Christmas themed dressage to music class. 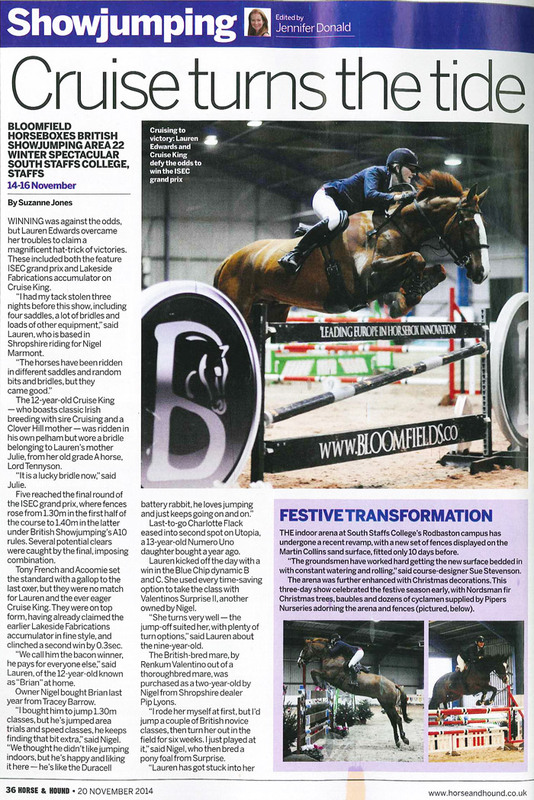 The show jumping has a full list of dates throughout the winter season, both affiliated and unaffiliated dates. Sue Stevenson is designing and building our courses so you can be sure of some good competition. the Team Challenge on Sunday 22nd December will be one to watch. Monty Roberts and Kelly Marks have included us in their autumn ‘Stable Mate to Soul Mate Tour’ and there are still some tickets available from their web site. Every fancied riding side saddle? well now is your chance. On Saturday 21st December Victoria Nicholls will be coming to offer you the opportunity to ride your horse side saddle and have some pictures taken. How about a extra Christmas present for someone? There is lots more going on besides with the BHS short courses, riding lessons and the new cross country schooling facility so keep an eye on the events page for regular updates. If there is anything you would like us to arrange, clinics, demos, training etc, let us know what you would like and we will see what we can do.